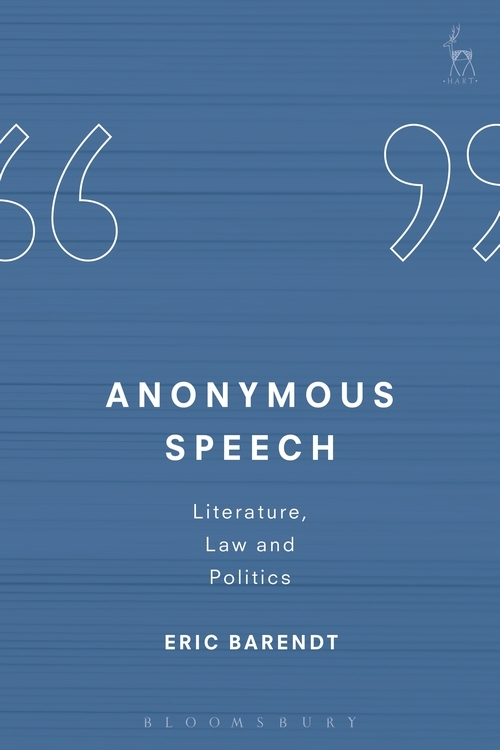 Anonymous Speech: Literature, Law and Politics discusses the different contexts in which people write anonymously or with the use of a pseudonym: novels and literary reviews, newspapers and political periodicals, graffiti, and now on the Internet. 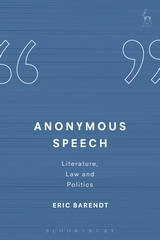 The book criticises the arguments made for a strong constitutional right to anonymous speech, though it agrees that there is a good case for anonymity in some circumstances, notably for whistle-blowing. 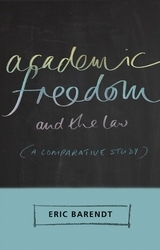 One chapter examines the general treatment of anonymous speech and writing in English law, while another is devoted to the protection of journalists' sources, where the law upholds a freedom to communicate anonymously through the media. A separate chapter looks at anonymous Internet communication, particularly on social media, and analyses the difficulties faced by the victims of threats and defamatory allegations on the Net when the speaker has used a pseudonym. In its final chapter the book compares the universally accepted argument for the secret ballot with the more controversial case for anonymous speech. This is the first comprehensive study of anonymous speech to examine critically the arguments for and against anonymity. These arguments were vigorously canvassed in the nineteenth century – largely in the context of literary reviewing – and are now of enormous importance for communication on the Internet. and, as such, is destined for eternal balancing.